"It has an ""underground"" origin in the real sense of the word. 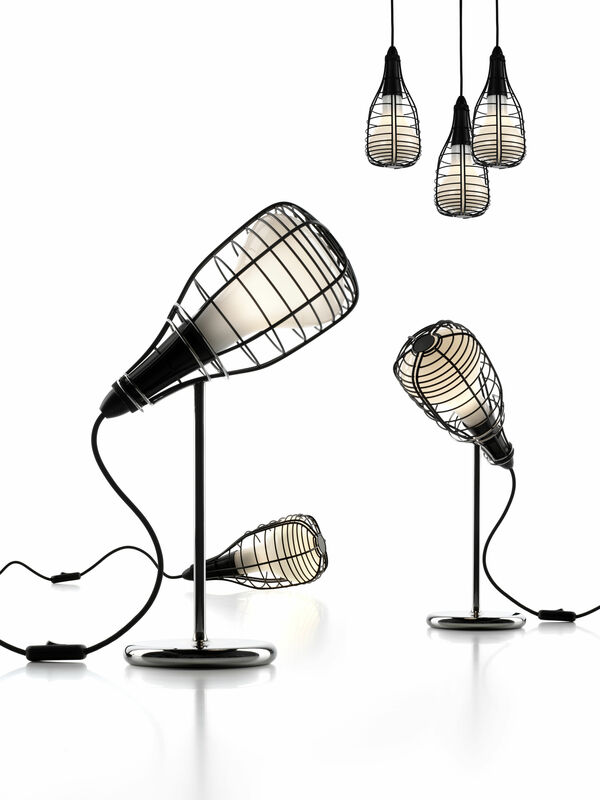 It is inspired by the lamps of miners and workers, protected by a metal cage which in Cage becomes a decorative element, thanks to its artisan craftsmanship, which can be seen in its irregular structure, and to the colours that characterise it. 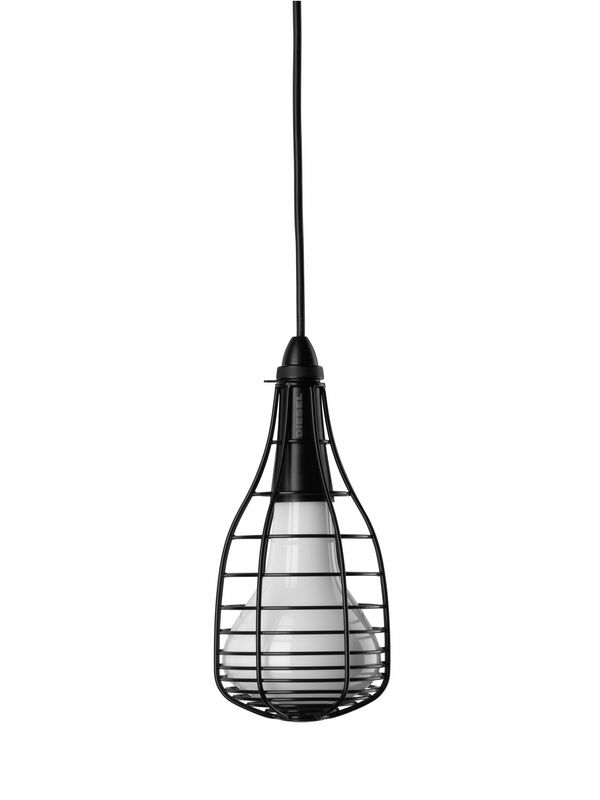 Today the smallest of the family also becomes a suspension light, particularly suitable for furnishing cosy corners or creating compositions, adding a new interpretation to Cage suspensions."